General Setup given for adjust some formatting in printing style. 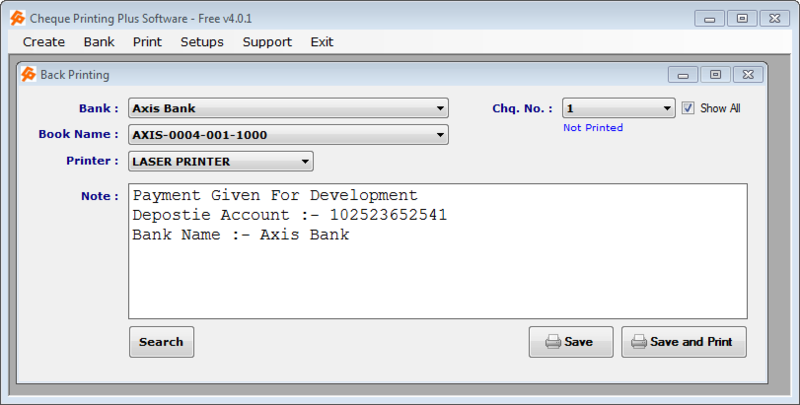 Some feature are applicable on creating next cheque book. Payee Name :- Print it ALL CAPS or as you entered. 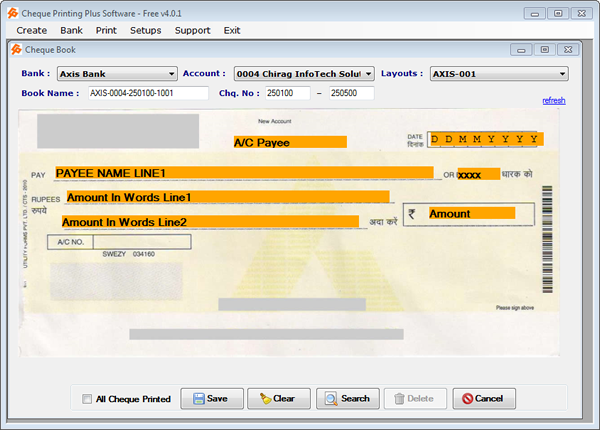 AC/ Payee Name for next added cheque book only Like “A/c Payee” , “A/C Payee Only. Kindly Provide enough space in cheque layout for long name. 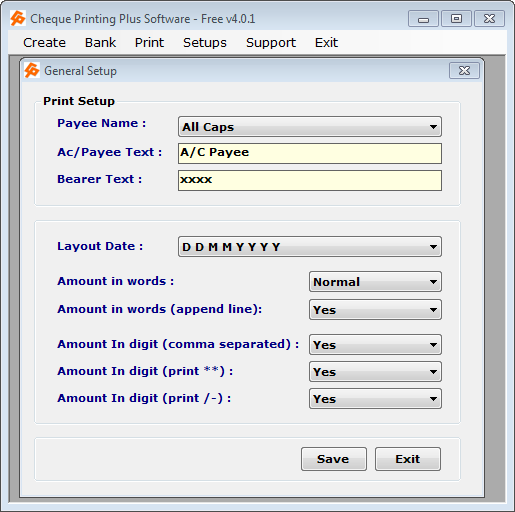 Bearer Tex :- When A/c Payee cheque , cross mark on word of bearer in cheque you can cross mark using word of like “xxxx” or “—–“. 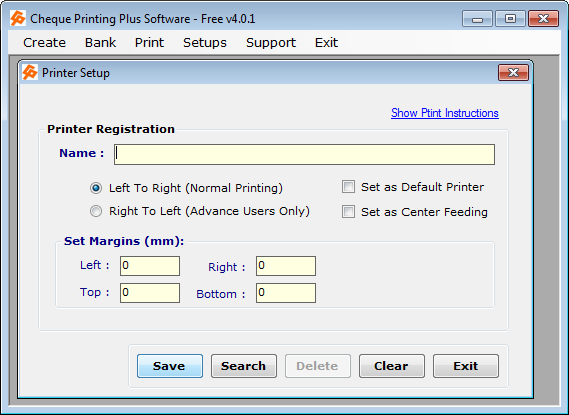 Amount in Digit (Print **) : Set ** before and after amount in digit or remove it. Amount in Digit (/-) : Set print “/-” after amount in digit or remove it.